Oxidized silver plate Holy Trinity. 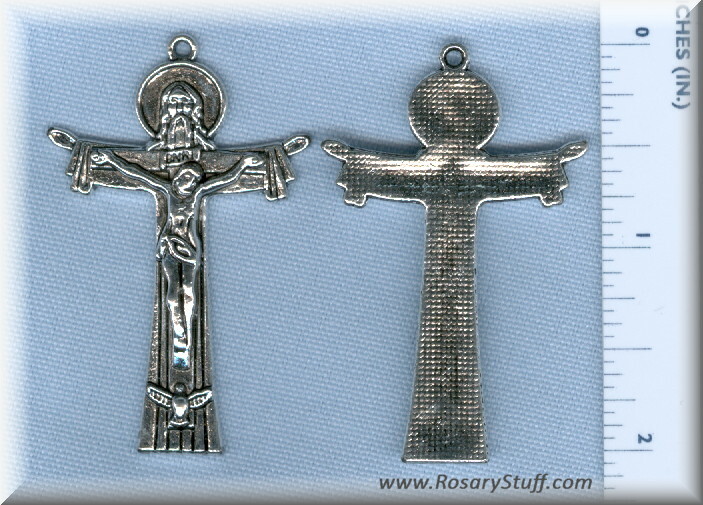 This Clearance crucifix is 2 inches tall (not including ring) by 1 1/4 inch wide. The finish is a very shiny silver plate along with a rough texture on the back. Priced per crucifix. Once these are gone, I won't be getting any more in stock for a while.